Despite the optimistic outlook, skills and culture gaps pose hurdles. However, opportunities exist for companies that overcome internal barriers. The Study also underscores that even in AI’s early days of enterprise applications, large gaps in behavior and performance exist between AI leaders (companies realizing the most impact from AI) and laggards (those reporting the lowest business outcomes from this technology). While 82 percent of respondents plan to implement AI-related technologies in the next three years, these disparities in success will only widen without the adoption of critical widespread organizational change. Despite this optimistic outlook, a significantly smaller fraction of businesses is providing adequate reskilling and training to address technology disruption, according to a new survey of C-suite and senior executives. The study shows a striking disconnect between the expectations of how AI will impact the future of work, and the actions companies are taking in preparing their workforces and organizations for that future. CxOs often struggle with how to achieve strong business impact from AI. The survey findings underscore what we see with our clients daily – success won’t come simply from technology alone. Companies must train their workforce – at all levels – and encourage the right corporate culture. 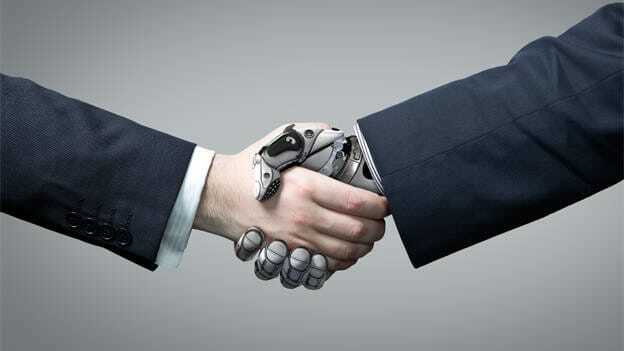 Collaboration between humans and machines has the power to improve customer experiences, grow revenue, and create new jobs – but only if senior management has the vision to proactively prepare and embrace change,” said N V Tyagarajan, President and CEO, Genpact. While recent news reports raise alarms about the average worker’s wariness of AI, the study shows the C-suite’s view is the exact opposite: close to one-third (32 percent) of respondents indicate senior management is the group that most strongly resists AI. This compares with only 13 percent who cite middle management, and a mere five percent who say entry-level workers resist most. Nearly three-quarters (71 percent) of leaders allocate sufficient resources and funding toward AI-related technologies, compared to only 9 percent of laggards. Process design and talent are keys to success with AI. One provides the catalyst for extracting the value from AI technologies; the other provides the amplifier to drive it at scale for the enterprise. Without one or the other, the chemistry of AI success just doesn’t work," said Sanjay Srivastava, Chief Digital Officer, Genpact. When looking at AI benefits, leaders have the clear edge in moving beyond the more expected cost-cutting measures. While a third of all respondents cite cost savings as a benefit, more than 40 percent of leaders say AI improves the customer experience. Leaders also are almost twice as likely to achieve increased revenues from AI (45 percent of leaders, compared to 25 percent of all respondents) – a clear indication that using AI to transform the customer experience also delivers competitive differentiation. Moreover, when asked to fast forward three years, 87 percent of all respondents expect that AI will bring better customer experiences. This underscores how companies increasingly plan to throw out their old playbook and replace it with AI – a nod toward the importance of imaginative, personalized, and immersive customer experiences. The research also addresses companies’ investments in and use of AI and other technologies, and further trends on reskilling and workplace issues. To access a copy of the report, Is Your Business AI-Ready?, please click here. In addition, in a separate forthcoming study, Genpact will explore AI’s impact on consumers, both in their personal and professional lives.